The past year has been huge for Cavaliers point guard, Kyrie Irving. Irving entered last season with high hopes as he looked to lead the Cavs to the playoffs for the first time since LeBron James departure in 2010. He averaged 20.8 points per game and was voted by fans into the starting lineup for the Eastern Conference in the All-Star game. In the All-Star game, Irving put his talents on display scoring 31 points with 14 assists and earning MVP honors. Despite Irving’s breakout success, the young Cavs continued to struggle, missing the playoffs and finishing in 10th place. The Cavs began the 2014 offseason by firing head coach Mike Brown. After hiring David Blatt as the next head coach, one of the Cavaliers top priorities was to resign Irving. Owner, Dan Gilbert, and General Manager, flew to New York to negotiate a contract extension with Irving. The duo pitched him a plan to assemble a big three in Cleveland with the additions of James and Kevin Love. “Kyrie bought in,” said Griffin. “That started everything. It created the momentum.” Irving agreed to a five-year, $90 million maximum contract. Irving celebrated his max deal by tweeting a link to a Youtube video of himself dancing at his home. Ten days after Kyrie agreed to an extension, James announced his return to Cleveland. The Cavs completed the “Big 3” by trading former number one draft picks, Anthony Bennett and Andrew Wiggins, to the Minnesota Timberwolves for Kevin Love in August. Irving is not only a star on the court, but is also a savy businessman. This past December, Nike announced Irving as their newest signature athlete along with his own signature shoe, the KYRIE 1. The deal made him the 20th basketball player to receive a signature shoe from Nike, joining the company of Kobe Bryant, Kevin Durant, and fellow Cavalier LeBron James. 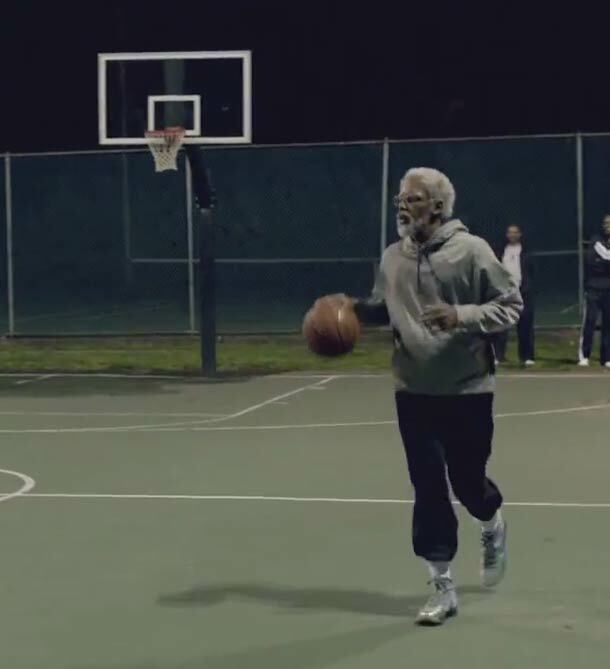 Kyrie Irving as Uncle Drew in a Pepsi Max commercial. Some of Irving’s other endorsement deals have shown his comedic side. He teamed up with Pepsi Max for a series of webisodes where he plays as a character named “Uncle Drew.” In the commercials, Irving disguises himself as an old man and goes to local basketball courts to play pickup games. The ads have also co-starred his teammate Kevin Love and WNBA star, Maya Moore. This past November, Irving signed a deal to create more Uncle Drew webisodes with the intention of taking the character to the greater Pepsi brand. His funny antics continue in a new ad with Footlocker where he tries his hand at acting. In the commercial he is sitting with his friends talking about his signature shoe and the upcoming All-Star game, where he mentions that he recently guest-starred on Law and Order. Irving’s guest-spot shows him lying dead in a hospital bed, to which he responds to his friends, “It only took nine takes.” He followed up the commercial last weekend by posting a YouTube video of himself giving an Oscar acceptance speech for the ad. Irving even added in the “get off the stage music” and crowd applause. As the Cavaliers are surging towards the playoffs, Irving doesn’t seem to be slowing down. He appeared in his third straight All-Star game a couple weeks ago and made it to the final round of the Foot Locker Three Point Contest. He is currently averaging 21 points per game with an average of 5.3 assists. 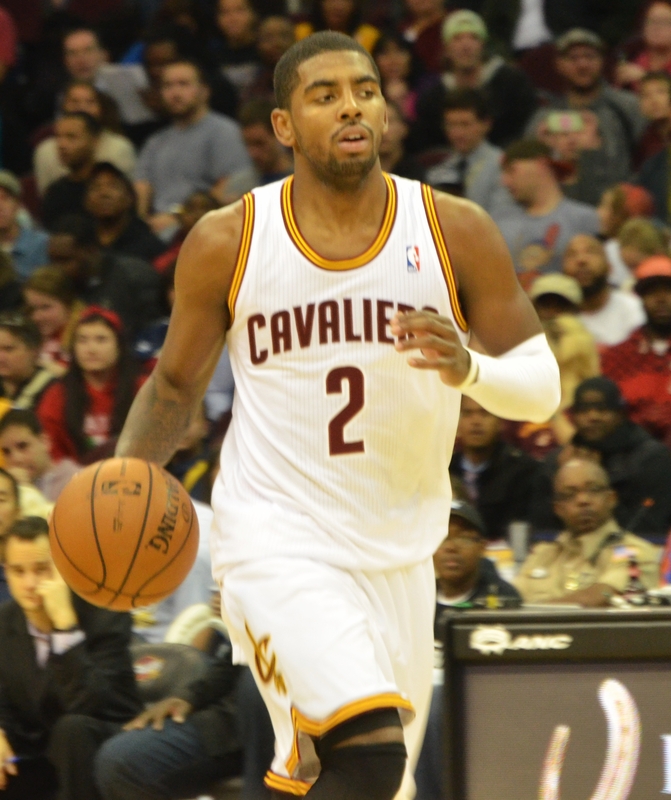 On January 28, Irving scored a career-high 55 points and set a franchise record with eleven three-pointers. At only 22 years-old, it’s safe to say that Irving is Cleveland’s newest superstar.